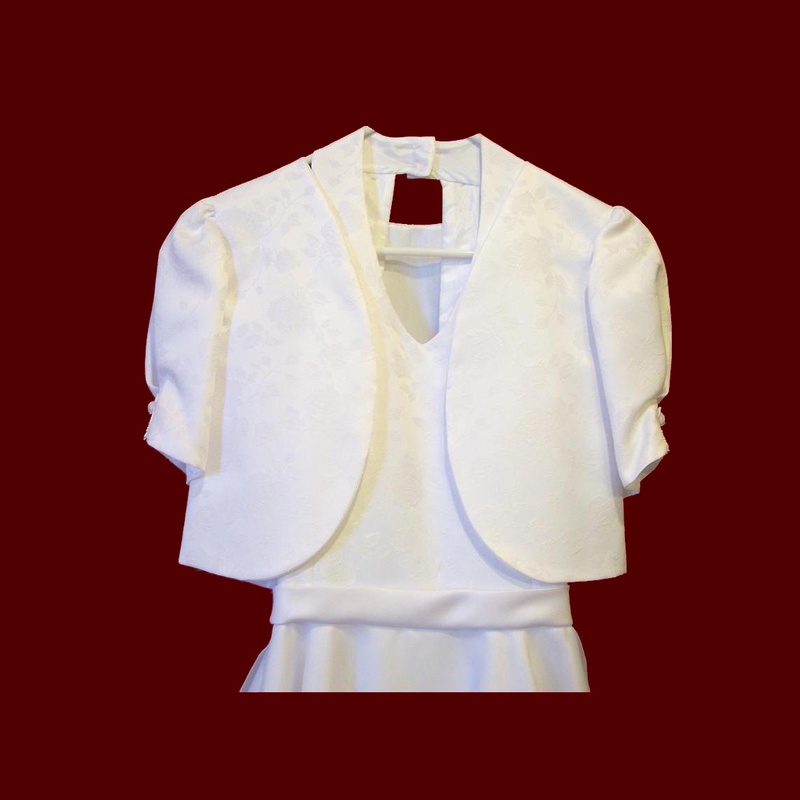 Gorgeous embossed floral satin halter communion dress with jacket has a fully circular skirt with a chiffon overlay. 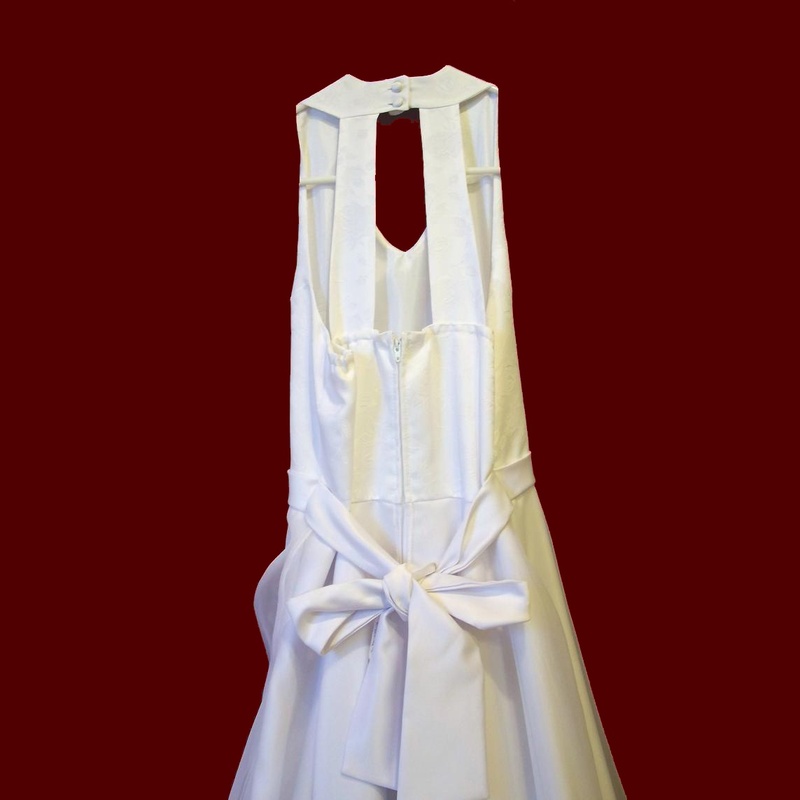 Zipper back and satin sash with snap in bow. Fully lined in white only. Soft semi-bouffant half-slip is attached to the waistline, adding gentle fullness to the dress at the hemline and can be easily removed for future use. 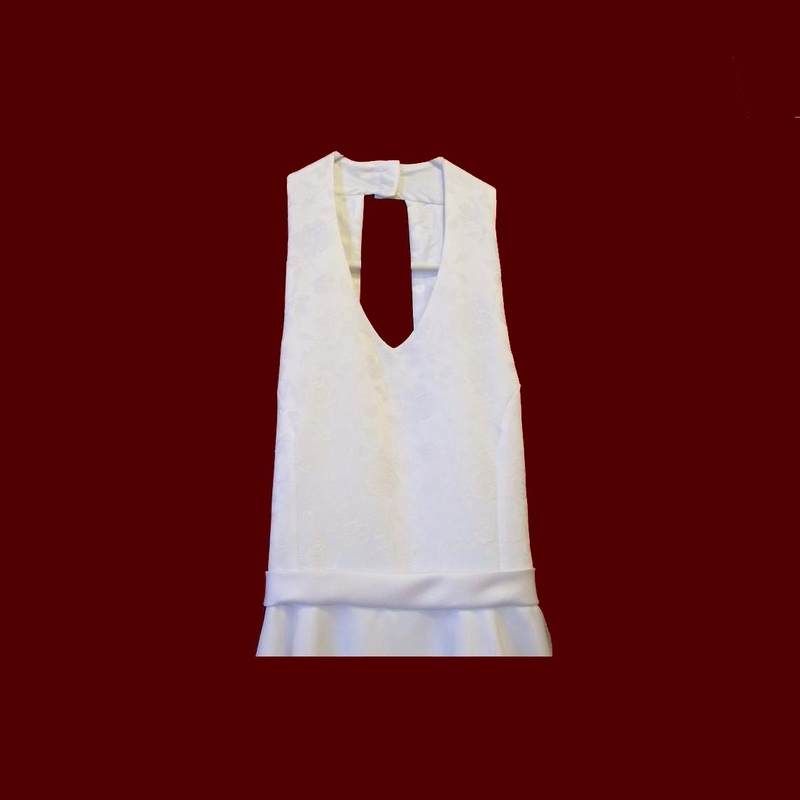 Back sash tails can be personalized with name and communion date for a lasting keepsake of her special day. Sash tails can be easily replaced with future name/date. 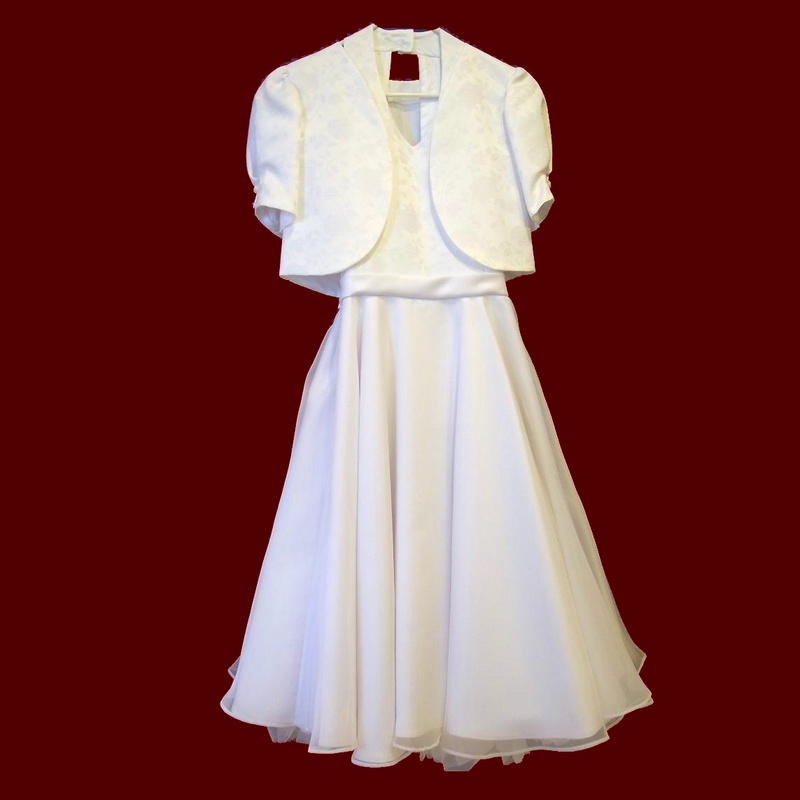 Irish accents available on all communion dresses. Each dress is custom made to fit your specific measurements - there are no returns on personalized, custom made dresses. Embossed satin fabric may vary depending on availability.